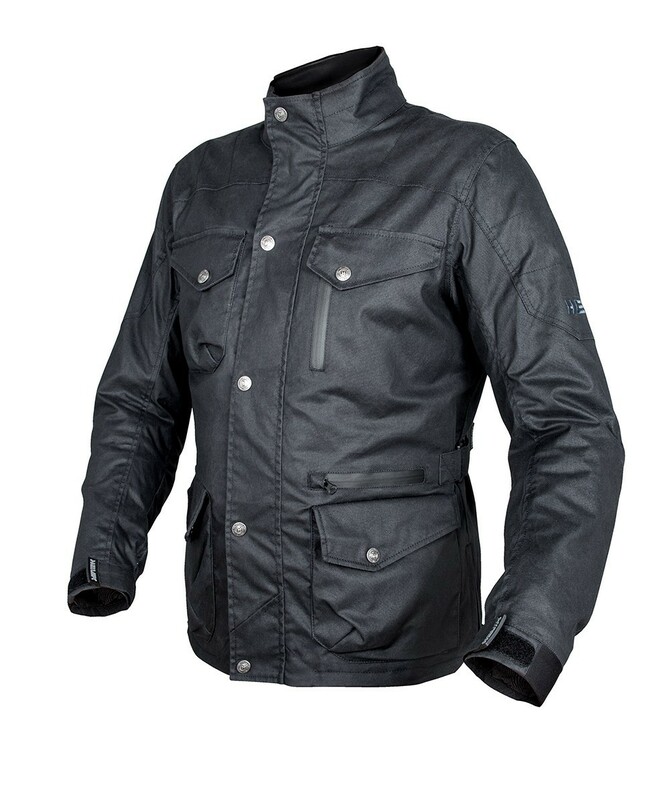 Two-layer urban jacket by HEVIK. Its strong point is enclosed in the prestigious fabric with which it’s made, wax cotton, able to give the item optimum comfort and fit. The elegant look and extreme care for details are what make the difference. The position of the pockets and the front zips give the item a further touch of originality. It has an internal fixed waterproof membrane and a removable thermal layer. The standard issue includes CE-approved protections for shoulders and elbows and is predisposed to host a back protector. • Strap regulations at the waist and wrists. • Waterproof pockets and zips. • Zip closing system protected by a gasket with buttons. • Fabric soaked in wax-based paraffin. © 2008-2018 UAB „Moto Spektras” | bikeshop.lt ™ All information on this website remain the property of UAB "Moto Spektras" and may not be copied or used without prior written permission.